Can you introduce Knowledge Management without a strategy? Lots of books and articles on strategy come from a military point of view, or from game theory, and are strategies for competing and winning. Should we think in terms of winning and competing, when implementing Knowledge Management? Surely it's a Good Thing to do - it's a win-win for everyone? But as leader of the KM program, you are in competition. You are in competition against other programs and initiatives, for internal resources (money, people, time) and you are in competition for internal attention (management support). If you do not have a good strategy, then good tactics are not going to save you. We are constantly hearing of yet another KM program closed, and yet another KM leader looking for a job, as the company sought to cut back on expenditure, and found KM to be too far from the front-line delivery - too non-strategic - and thus an easy target. So what can a good KM strategy do for you? Your strategy will help you define where you heading, and what the end point should be. It will define the vision, and the objectives for knowledge management within your organisation, and allow these to be discussed and agreed up front, before you start on the planning. Your strategy will provide a set of principles or ground-rules to guide your actions, and guide your decision making during knowledge management implementation, in order to deliver the greatest chance of success. Don't forget that 80% of knowledge management programs fail (depending on what you mean by “knowledge management program” and what you mean by “fail”). The reasons for failure are well known, and a good strategy will be designed to avoid these reasons. Your KM strategy, if it follows the principles mentioned above, will be closely linked to business objectives, business strategy, and business results. This protects you from being seen as peripheral to the business, and an easy target for downsizing. Your strategy will form the framework of constraints for planning purposes. It will define the areas of focus, the risks to be addressed, and the allies to work with. Your strategy will guide you in deciding what not to do. If a tactic is outside the constraints, or in opposition with the principles, then it is not strategic, and a waste of resource. The strategy also looks at implementation priorities and issues. It’s not just a vision; it’s a high level approach for how the vision will be realized. Your strategy is a public agreement with your leadership. It represents agreed ground rules for knowledge management implementation, and should have leadership blessing and support. If over time that support does not materialise, then you should be able to go back to the strategy, remind them that it was agreed, and claim their support (or else renegotiate the strategy). The strategy is therefore a key decision point for the organisation. Your strategy allows managed flexibility. As your business context changes, your organisational priorities, or the competitive or technological landscape, so your knowledge management strategy should also evolve over time, but will need to be renegotiated with your steering group. This is your "Management of Change" process for the KM implementation. 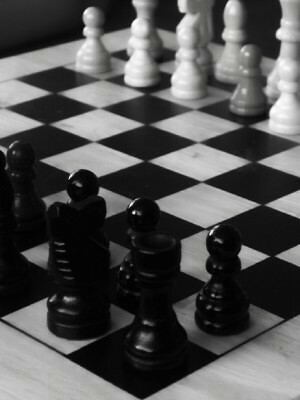 The most important thing for you, therefore, is to get a good strategy in place from the start. Contact us at Knoco if you want a copy of our guide to KM strategy.